15ct rose gold antique garnet & pearl ring made. Product code: 2085 Categories: Sold Items, Sold Rings. Made in the 1890’s is this delightful antique garnet and pearl ring made in 15ct rose gold. The rose gold blends so well with the vibrant rich burgundy red of the garnets all of which is highlighted with the pearls. Even the setting is so charming and so typical of the late Victorian period and the band itself is so unique and special with the flowing elegance and style. 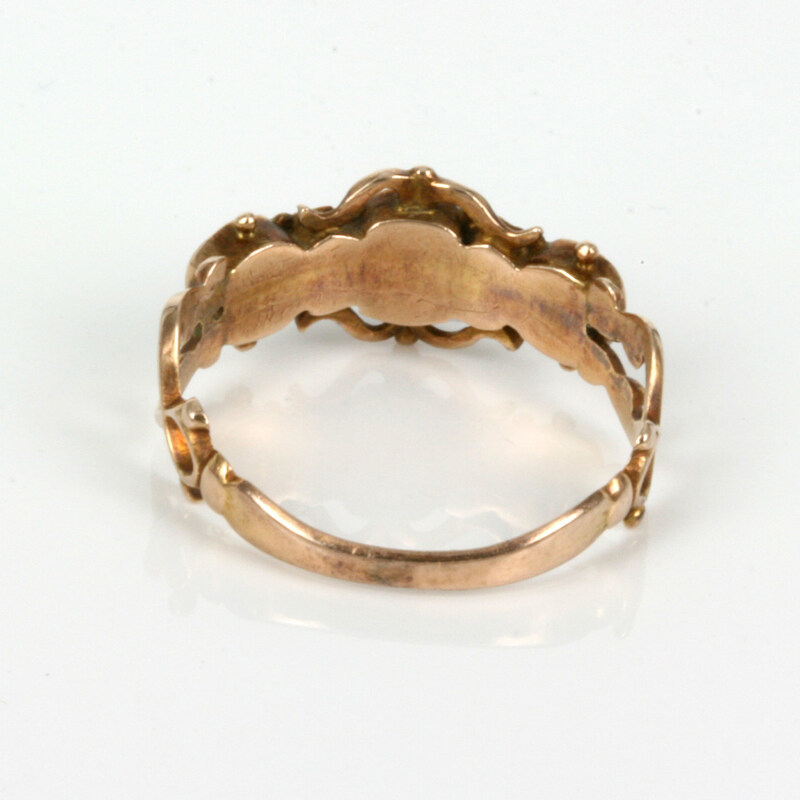 This is a truly wonderful antique ring that will make all lovers of rose gold gasp with pleasure.